A graduate of the University of Québec in Montréal in jazz and popular music, Marie Trezanini has over 14 years of stage experience. Author, composer, and singer, she is passionate about world music, basing her artistic approach on her need to discover new horizons and travel through different musical cultures. 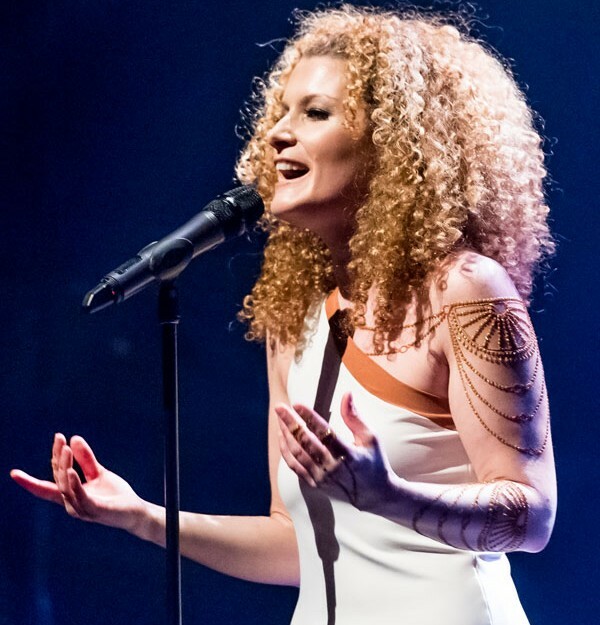 The need to expand her horizons and to travel through different musical cultures is the cornerstone of her artistic process and involves thorough research as her project « Monde, un chemin vers soi » — which features a fusion of chanson, flamenco, celtic, tzigane and african music — illustrates. Since 2010, she has been focusing her art on Eastern and Yemenite music which has birthed the project « Essence Yéménite ». Marie presented her first show and album “En plein desert” in 2000 (France) and 2003 (Quebec), performing her first songs of celtic and african influence. In 2006, she premiered her show “Bienvenue chez Marie”, performing her original compositions solo with guitar in a traditional French cabaret style. In 2008, Marie premiered “Monde” and in 2009 “Monde” a self exploration, performing original songs on the theme of identity, inspired by flamenco and Gypsy music. in 2012 she presented her new show "A saveurs Orientales" witch is a musical journey through different style of arabic music and dialects.